As an empowered confident woman, my passion and vision is to assist women of all ages, shapes and sizes to love themselves more! Self-confidence, self-love and self-respect are of the utmost importance and are essential to a woman's overall emotional health and well-being. Absolute Confidence will inspire and empower each woman to achieve her greatest potential with a new found purpose and a heightened sense of enthusiasm! Did you know that confidence is a skill? Yes, it is!! This means anyone can learn to become confident at any time, regardless of your past experiences. YOU have the ability to harness your inner strength and change how you feel about yourself and your life. 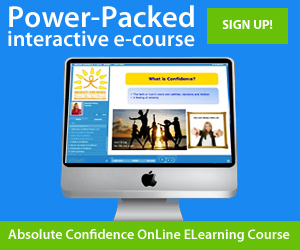 How can Absolute Confidence help you? 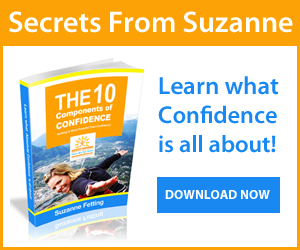 Do you have the confidence you need? Our confidence has a big impact on how we enjoy life. A lack of confidence can lead to many negative things in our lives such as fear, poor body image, eating disorders, alcohol and drug abuse, jealousy, defensiveness, procrastination, anxiety, violence, depression and sometimes even suicide. People who lack confidence are unable to achieve the level of happiness and success they desire. Nothing is more powerful than confidence, and being confident changes everything! Your relationships with people, how you communicate with others, your ability to get what you want from life, a successful working environment. People who love themselves and are confident radiate strength, passion and conviction. A confident woman is not afraid to be herself. She knows who she is. Her values, her strengths, her purpose and her unique gifts. I would sincerely like to pass along to you what I have learned about confidence and self-respect. We all deserve to be happy and to be respected and appreciated. Your ideas and opinions matter. You have many gifts and many strengths to offer the world, you just need to know how to embrace and harness them. As a Confidence Coach, I can set you on the right path to achieve your ultimate goals!